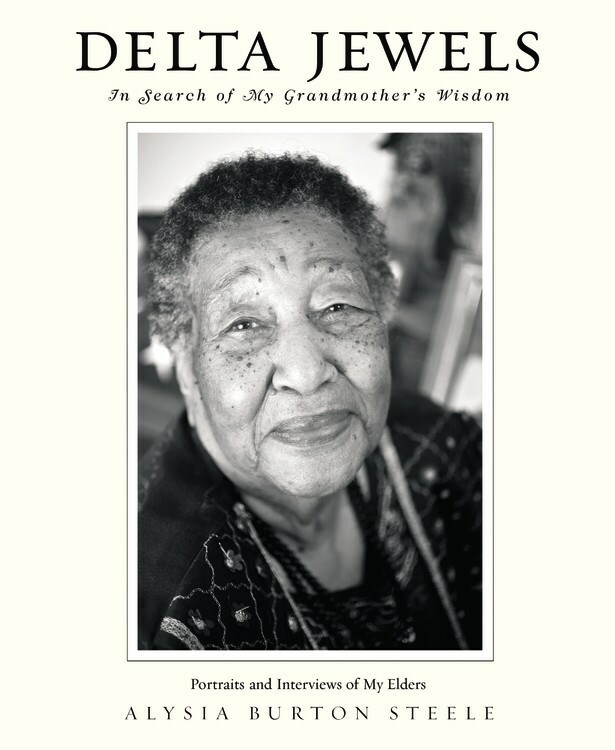 Synopsis: Inspired by memories of her beloved grandmother, photographer and author Alysia Burton Steele--picture editor on a Pulitzer Prize-winning team--combines heart-wrenching narrative with poignant photographs of more than 50 female church elders in the Mississippi Delta. These ordinary women lived extraordinary lives under the harshest conditions of the Jim Crow era and during the courageous changes of the Civil Rights Movement. With the help of local pastors, Steele recorded these living witnesses to history and folk ways, and shares the significance of being a Black woman--child, daughter, sister, wife, mother, and grandmother in Mississippi--a Jewel of the Delta. From the stand Mrs. Tennie Self took for her marriage to be acknowledged in the phone book, to the life-threatening sacrifice required to vote for the first time, these 50 inspiring portraits are the faces of love and triumph that will teach readers faith and courage in difficult times. Review: I first heard of Delta Jewels through social media. I think there was an article retweeted or the author's tweets were retweeted into my timeline. At the time, the author was seeking a publisher and there was no certainty that the book would even be published. Regardless, I was excited about the book and made a note to myself to be on the lookout for it. Eventually, the book found a home and I squealed when it showed up in the spring catalogs and immediately requested a copy from the library. (Side note: Can you "pre-order" stuff from your library before it's released too? It's great because if it's an e-book and you're "first in line," items show up on your Kindle at 11 p.m. the night before release!) Now back to the review. When the book finally came in, I couldn't wait to get it home and start reading. I already knew the premise of the book and that the author had spent a significant amount of time interviewing mothers of the Mississippi Delta churches. Immediately I was swept up in the lives of these remarkable women. Just reading their stories and watching them posed for their portraits, most in their Sunday's finest, was more than enough to satisfy my soul. I thoroughly enjoyed reading the elder's stories, but the author kept interjecting herself into the overall story instead of just letting their stories speak for themselves. I was interested in their stories, not necessarily how she came to find the elders and who introduced them to her or the literal roads she traveled to get to these women. It just seemed like unnecessary filler and I had to keep reminding myself that the author is a photographer by trade, not a writer. I would have happily given the book a higher rating had she not been such a distraction. Don't let that sway you from picking up Delta Jewels. These mothers, grandmothers and great grandmothers are worthy of having their stories read.